As more and more China-made iPhone screens flow into the market, have you got confused by the various qualities and prices? In the previous post titled as “Cheaper or Poorer? An Overview of Chinese iPhone 6 Screens“, we emphatically introduce two Chinese full-fledged LCD panel vendors named JDF(BOE) and LT(IVO) in detail in respect of Appearance and Function. And it was followed by another article titled “Which is the most cost-effective China made iPhone 6 LCD?“ which made advanced analysis among 3 mainstream brands. Today we have analyzed two kinds of iPhone 6 Tianma screens: Single IC Tianma Screen and Dual IC Tianma Screen. It’s for sure that you will get a clear understanding and knowledge of it by following along the way of distinguishing them as below. 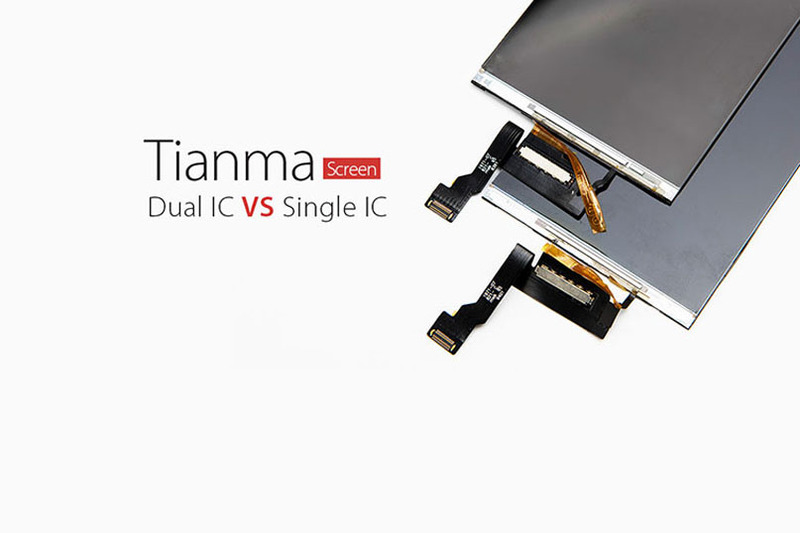 After using a period of time, Tianma Dual IC Screen is more stable than the Single IC Screen. 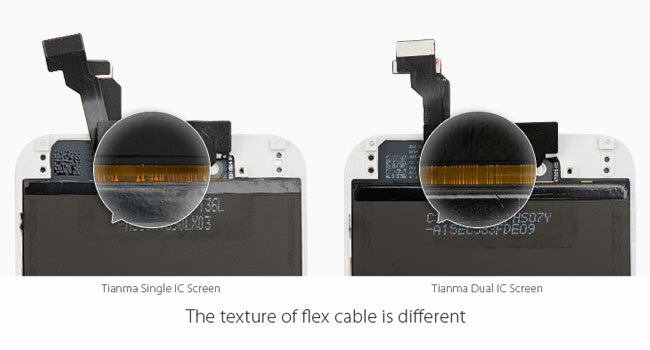 CONCLUSION: iPhone 6 Tianma Single IC screen and Dual IC Screen have high similarity in the appearance. Tianma Single IC Screen is relatively low in price, but not so stable as the Dual IC Screen after using a period of time. If you have any questions and demands, please feel free to comment here and we will get back to you as soon as possible.